Oh hey! Hallo! It&apos;s me! 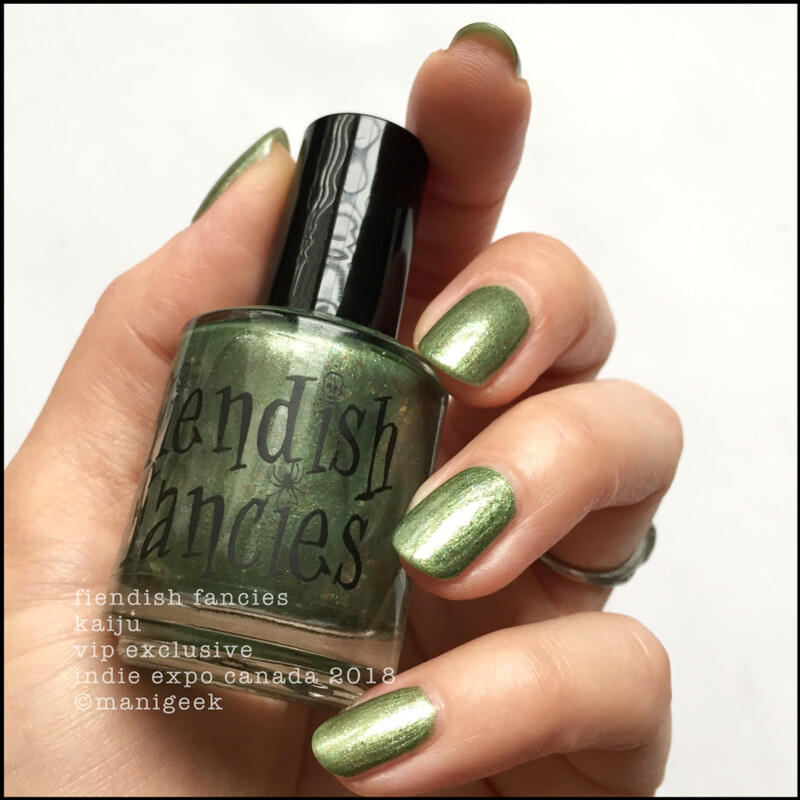 Today, just because I felt like it, I decided to go flecky green with Fiendish Fancies Kaiju. This right here is a limited edition VIP Exclusive that I bought at auction at Indie Expo Canada 2018. I couldn&apos;t not. 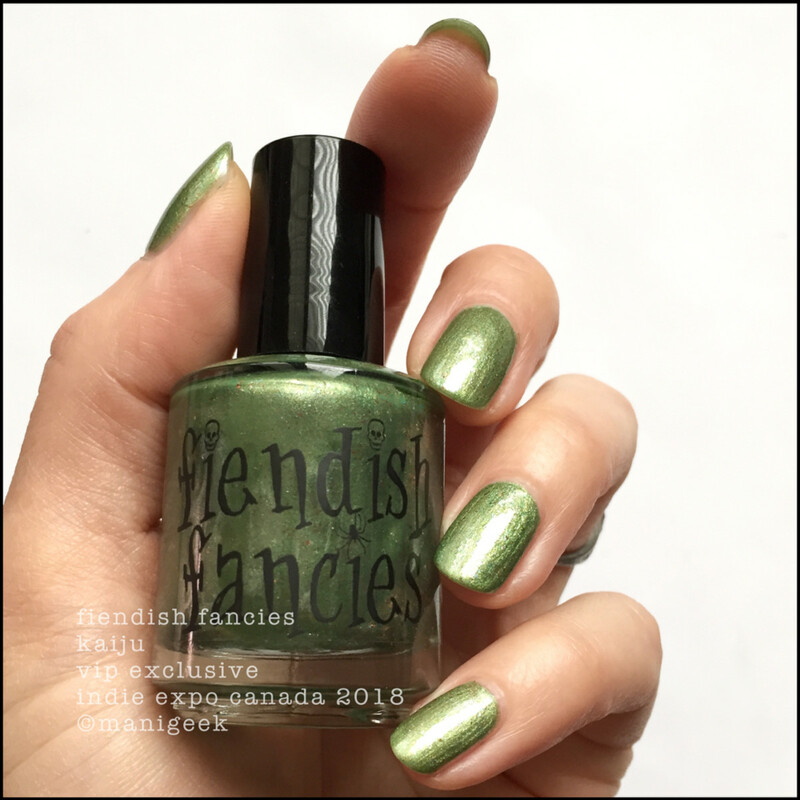 Lara (creator) makes a bunch of different IEC polishes and you never know what you&apos;re gonna get in your VIP swaggles bag. Me? I got Apparition but wanted all of &apos;em, so when I saw there was an auction for all the shades, I was all "I will win that auction." I totally did. 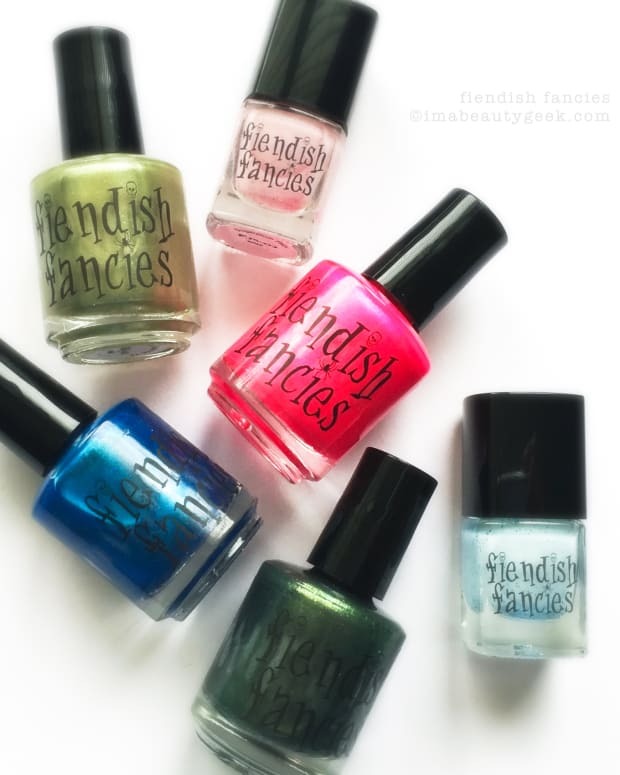 If you haven&apos;t yet heard of Fiendish Fancies, it&apos;s a Canadian indie brand that&apos;s brewed right here in Toronto. 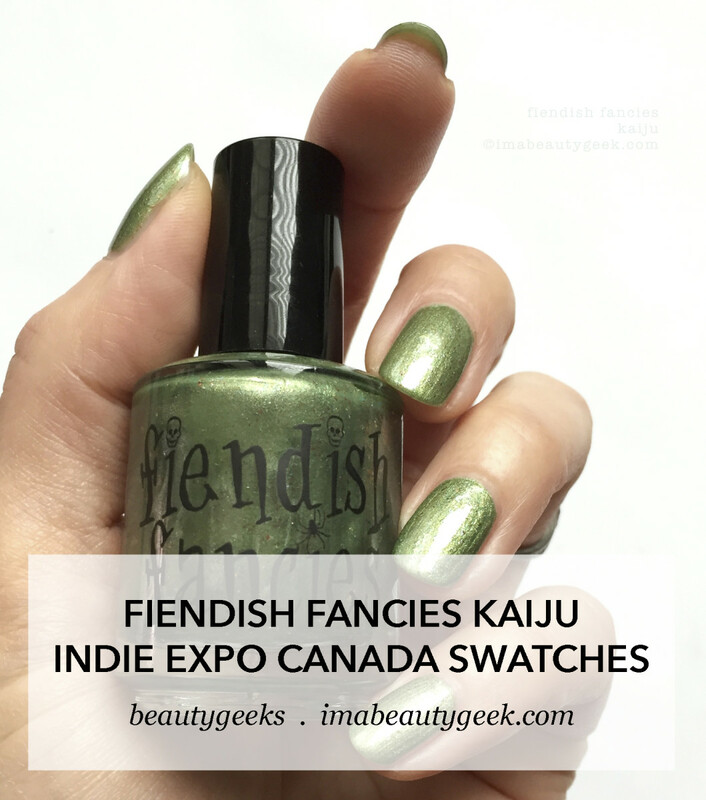 This month FF has teamed up with fellow Canadians Cuter Cuticles and My Indie Polish to bring you the "Creepy Canada: Crazy4Crellies Exclusive Trio". Fun, right? Now, coffeeeeeeee.